All Progressives Congress (APC) in Kaduna has called on the Chief of Army Staff, Lieutenant General Tukur Buratai to immediately remove the General Officer Commanding, 1 Division Mechanized Nigerian Army, Major-General Muhammad Muhammad for his alleged involvement in partisan politics in Kaduna State. The call was contained in a statement read before newsmen by Yahaya I. Shinko (Director Admin) on behalf of Kaduna State APC Acting Chairman, Alhaji Danladi Wada on Tuesday. According to him, “it is no longer news that today 20th February, 2018 at around 4am, the governor accompanied by heavily armed soldiers believed to be from 1 Division Nigerian Army stormed the new secretariat and carried out the dastardly act. “The reason advanced by the government in the statement issued by the Director General Kaduna Geographical information Service that the demolition was necessary as a result of default by the owner of the property, Distinguished Senator Suleiman Hunkuyi to pay ground rate for a period of 8 years, is untenable before the law and hereby condemned in strong terms”. 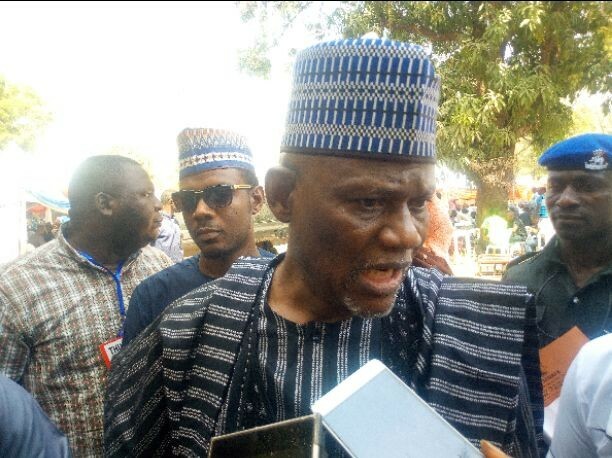 “But we know that, the offence of the lawmaker, his supporters and all other members of the APC with them in this secretariat is aligning ourselves with the position of the National Headquarters and of the party to the effect that Danladi Wada is the recognized Deputy Chairman of the APC in Kaduna State and stands as the Acting Chairman until a substantive Chairman emerges at the next State Congress of the Party. “We urge the Chief of Army Staff, Lieut Gen Buratai to relieve the GOC 1 Division for meddling into partisan politics by allowing his men to give cover to the governor with trucks numbering over 20 fully loaded with military personnel and carried out the shameless act, thereby bringing the Military to disrepute”. He however called on all members of the party to be law abiding and remain calm in the midst of provocation by the governor and his aides, as we have taken appropriate steps to seek redress in court of law.